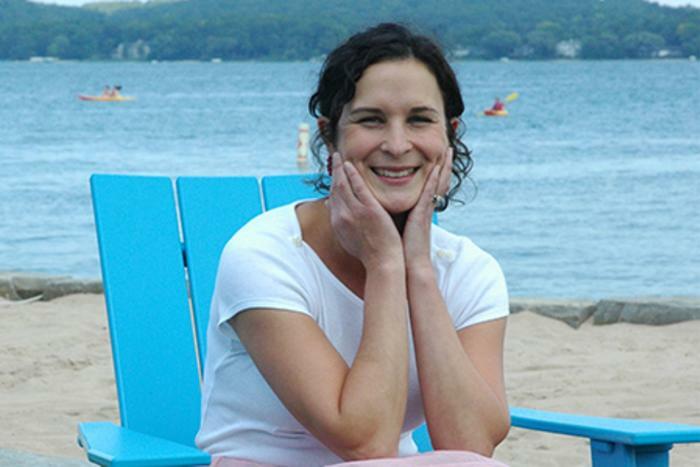 Tell us about what a Digital Marketing Manager does at Traverse City Tourism. In a marketing job every day is a little different, and that is what makes it exciting! My job responsibilities include social media and web content management, graphic design, evaluating digital media analytics, as well as e-newsletter and video development. I was the Marketing Director at Black Star Farms. I love being a part of the creative, professional, and fun destination marketing organization that is Traverse City Tourism, and working with a diverse group of people that all share a common interest to promote this incredible place where we live. Beaches, the TART trail, the State Theater, Pyramid Point, Amical, The Summer Microbrew and Music Festival, and Trattoria Stella are a few of my favorites. Really, it&apos;s hard to choose when there&apos;s such a wealth of great places to eat, play, and discover! The Green House Café is perfect for lunch. The food is fresh, the service is quick and friendly, and the price is right. Plus, they have amazing and HUGE muffins! How would you describe Traverse City to a first time visitor? It is a city with small town charm, a European downtown flair, and awe-inspiring views on every corner. It is a place where the natural beauty will inspire you and the foodie scene will nourish you. Lastly it is a place with a spirit that will fill your soul and tug at you until your return. The day would begin with a five mile run along one of my favorite routes that includes Wayne Hill, where there&apos;s an overlook that astonishes me every time! After a quick soak in West Bay I would go home to grab a post-run snack (and shower!) and head out with my family to enjoy time at a playground or park. Lunch at The Workshop, complete with a few board games, rounds out the afternoon but leaves time to recharge at home. I&apos;ll pack a picnic dinner, a bottle of local wine, a blanket and a few cozy layers for the evening and we take a scenic drive to watch the sunset at Good Harbor beach. The icing on the cake is the trip home when I am fully charged from the memories and moments captured during the day as well as the blissful silence of two sleeping children. Definitely fall and everything that goes along with it, including the rain. Running my first half marathon in Glen Arbor! The Glen Arbor Solstice half marathon kicked off my summer adventures a few years ago, and it was an awesome way to begin the season. Being my first half, I was nervous about the course and the last two miles. All of that nervous energy was somehow magically transformed into fuel that my body used throughout the race. Even when I thought I was getting tired the incredible scenery pulled me through, especially at Inspiration Point and through the narrows in Glen Arbor. Would I do it again? The answer is a resounding yes.